Who Knew Upcycled Jeans Could Look This Good? Anyone remember War on Waste’s giant mound of clothing, piled in a Sydney shopping mall? That’s 6000kg of textiles that go to landfill every 10 minutes. Good Sammy is just not equipped to handle that! So we are tackling Fast Fashion with our newest workshop: Sewing with Scraps. BYO old pair of jeans, either from the Op Shop or one with holes from your ‘fix-it’ pile. 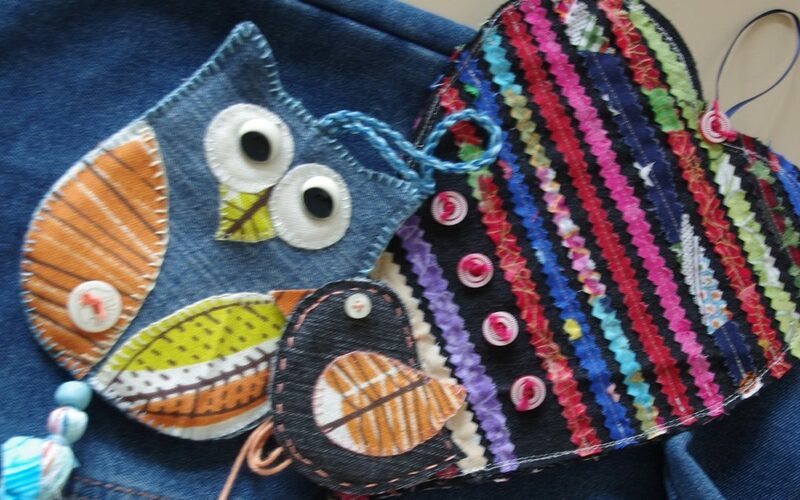 Presenter Jude Ludlam (she’s been upcycling clothing for years) will help you turn those old jeans into a bag, doorstop or Christmas decoration. She brings to this workshop: cardboard templates, instructions, ideas and examples to inspire and have fun with!